Shreen Haywood RVN completed her NVQ in veterinary nursing at MYF Training in Aldershot and became a registered member of the RCVS in 2010. 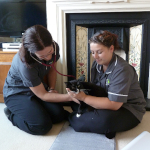 Shreen has been an integral part of The Cat Doctor since day one and in 2017 she completed the ISFM certificate in feline nursing and uses this knowledge every day to ensure that our patients are happy and comfortable. This is my cat Aaliyah, isn’t she cute? Aaliyah eats all her food, goes out into the garden, interacts with my family and chats like there is no tomorrow, she generally seems happy. Aaliyah has arthritis, and is in a lot of pain when not on her medications. Before we started her medicine, she wasn’t writhing around the floor, screaming or holding her paws up, so how did I know she was in pain? She was doing what she has always done… but was she really? It’s important to understand, in the wild, cats as well as being the hunters are the hunted, they are programmed to assume everything is going to kill them. This means that they will not show pain or weakness unless it is severe or acute, even then we only see a fraction of what they are feeling. 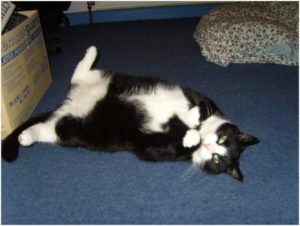 Aaliyah, like many elderly cats, started to slow down a bit, wasn’t venturing outside as much and was sleeping a bit more. Was this pain? Maybe. Maybe she was just getting old and preferred her creature comforts to the great outdoors. I had a conversation with my colleague and explained that Aaliyah wasn’t coming upstairs anymore, it wasn’t a sudden change, if it had been I am sure I would have been more alarmed. She had slowly been reducing the amount of trips she was doing until we got to the point where she wasn’t venturing there at all. I now started to assess her life and look at how she was today compared to two years ago, comparing that to 3 years ago. She would take a longer route to get to the sofa, or stop and think for a while before jumping onto the sofa. I guess she was deciding if it was worth the effort or discomfort. Would eat her food in two halves when she had previously been happy to scoff the lot. I think this was because the leaning to get to the bowl was uncomfortable so she did it as long as she could then she took a break. There are many more small signs that cats are in discomfort, like constipation, limping, bunny hopping downstairs, a change in posture, eating in a different way , to name a few. They will continue to eat even if they have arthritic pain, this may sound silly but we owners often think of appetite as a marker for ill health, but it’s not in this circumstance. 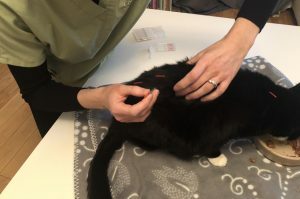 After a veterinary exam had confirmed she was suffering from arthritic pain, the vet prescribed some anti-inflammatory medication (ones specifically for cats, human ones are toxic to them). I provided Aaliyah with steps to get to some of her favourite places, raised her food bowl by putting it on a box, she already drank water from a pint glass so that seemed a sufficient height. I gave her a larger litter tray, which allowed her to stand in a more comfortable position to urinate. She loves her pet safe heat pad which gives some relief to those achy joints and our vet Emily administered a course of acupuncture. We see our pets everyday and it’s hard to notice the small changes that show us not everything is as it was. Annual health checks help detect problems and gathering history is an important part of that. So the next time you look at your cat and she isn’t doing that jump, ask yourself, did she used to do that? 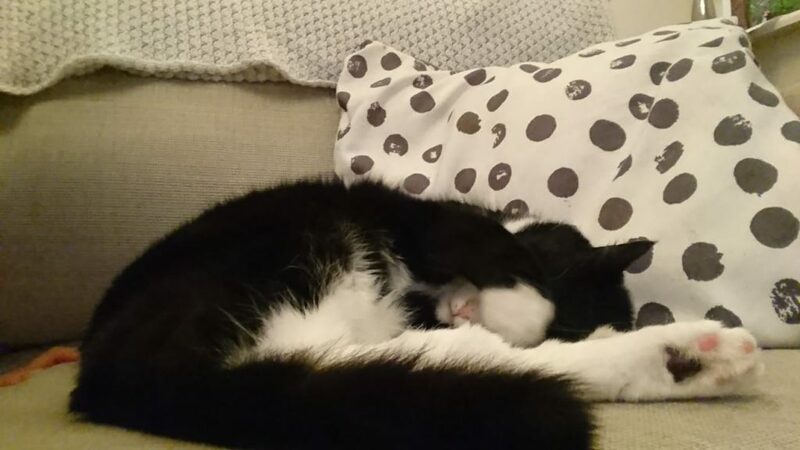 For more information about detecting pain in cats including a quick summary of signs, visit our our cat health page on pain recognition.